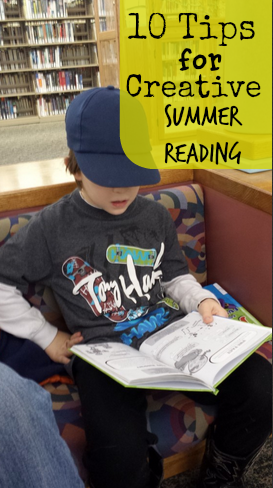 These 10 tips for creative summer reading will not only benefit your kids but it will help you out with creative ways to get kids to read books this summer! 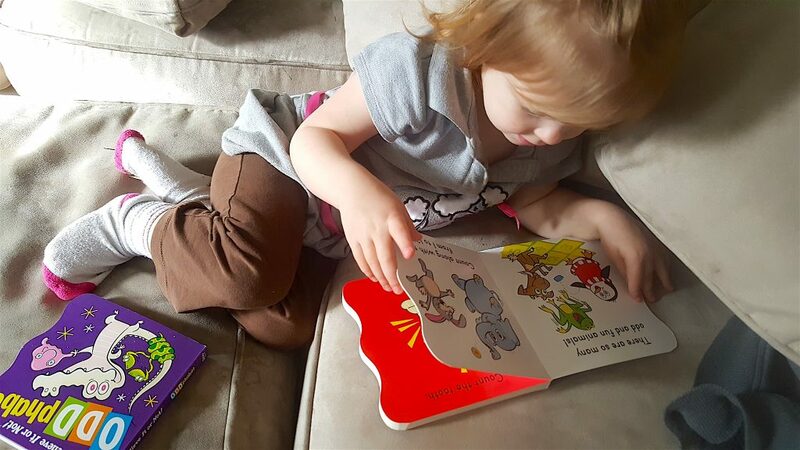 Reading books is a GREAT way for kids to pass the time on rainy days or on long road trips! 1. Invest in a magazine subscription. In this instance – a bribe is totally ok – especially for summer reading incentives! If you have a reluctant reader order a magazine subscription you know they’ll love! If they love animals – try Zoobooks or National Geographic. If they love building subscribe to the free LEGO magazine. Are they girly? Try the American Girl subscription. Love sports? Check out Sports Illustrated Kids! Love Puzzles? Subscribe to Highlights. And there are plenty of character subscriptions out from Thomas the Tank Engine, Disney Princess, Phineas and Ferb and plenty more! Make sure if you do this to order now so your first issue can be here by summer! 2. 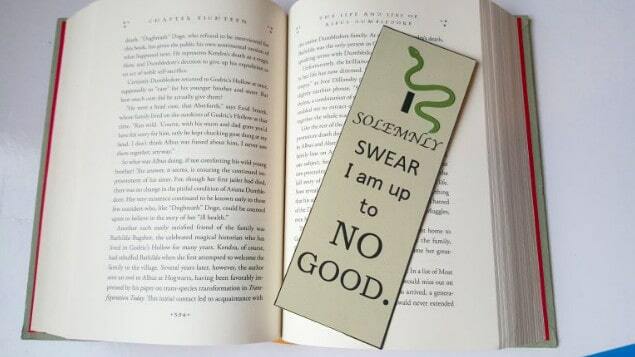 Subscribe to a book club. Yes – it’s cheaper to rent books from the library but sometimes giving a child a shiny new book that comes in the mail for them to keep is what can really motivate them! Book Clubs are usually pretty reasonable and can range from clubs like the Dr. Seuss Club, the Highlights Puzzle Buzz Club, Children’s Book of the Month clubs, etc.. This is especially a positive tool for some of your older kids or most reluctant readers. Invest in a Kindle e-reader, join Audible.com, Kindle Unlimited, or buy them an iTunes gift card to be used strictly for interactive reading apps. 4. Attend summer library events. Plan on visiting the library once a week on the same day. Let your kids pick out WHATEVER book(s) they want to rent. If they want a big stack like I did when I was younger bring along a book bag to hold all the books in. If you have a child who is “not so enthusiastic” about this idea plan it around your local library movie night, story time, or whatever other fun events your library offers throughout the summer. Our library actually offers a LEGO club once a month! Most libraries now also offer free digital books to rent for your e-readers as well. And many libraries even offer iPad rentals (usually on site) for free too! 5. Let your child buy books online. Ok you obviously don’t want to just turn your kid over to the internet with a credit card in hand but sit down with them and let them choose a book or two from Amazon or anywhere else that you want to purchase books online. Let them be in charge of putting together an Amazon wish list. You can even take them to the bookstore first and make a list of favorites! Consider purchasing full book sets for a cheaper price and make it a summer long reading session! Some kids, no matter how hard you try are just not going to want a new book. Period. They just don’t like to read. So why not rent a movie AND a book? Here is a HUGE list I’ve put together of books that pair up with movies. Make it a challenge to find the differences between the book and the film instead of the challenge solely focused on reading. Look for a new movie coming out in theaters and tell them you will take them to the movie IF they read the book first. Or maybe set up chairs outside at a park or in your backyard, or even the beach and read in a completely new environment! 7. Give them yard sale money. Hand your child a set amount of money and take them to garage sales or even to the thrift store. Summer is a great time to find yard sales all over the place so turn it into a summer reading incentive! Make it a barter system – when they are finished reading the book they can turn it into you for $1 or whatever the set amount is that they can take the money and turn around and buy another book to read. This way the money is rolling in for them based on the books they’ve read and it teaches them to budget as well. 8. Turn it into a destination trip. This of course is can be a more costly approach but not necessarily. Find a book that would interest your child for their summer reading list. Maybe it’s a novel about a small town in your state. Maybe it’s a book with a mystery wrapped around a state park. The ideas are endless. We put together a fun list of educational road trip ideas here. Once your child has read the book(s) take them on a trip to that location. Or a similar location. (For example if it’s a mystery in a dairy farm see if you can find a dairy farm to tour. If it’s a nature book set in the Redwood Forest plan a trip there.) Try to find something set in a reasonable driving distance from you and turn it into a visual real life experience. 9. Read the book with your child. Either physically out loud read the book with your child (take turns reading chapters) or pick up a second copy and sit down and read it individually so you can discuss the book with your child as he/she is reading it. If something particularly interests them then carry it over into your summer reading fun. Maybe build a sundial, brick smokehouse, or whatever is interesting from that particular book. 10. Focus on “How-to” books. This may seem like an odd or unconventional idea for summer reading but find a book on how to build or create something that your child is really interested in. Sit down to work on the project together and have the child actually read the directions to you out loud. It’s not as overwhelming as an entire book and again the focus has been turned off of actually reading and on to building or creating whatever they are interested in. Here are a few “how to” book ideas to jump start your thinking: How to make Soap, How to Compost, How to Rock Paint, etc. The library is also a great place to look for “how to” books for more ideas! we love summer reading events at the library! Great way to escape the heat and learn! Excellent ideas! My kids love getting new books through Scholastic and on the iPad. I haven’t taken my boys to the library though since we relocated. We’ll have to start that up again. Great tips. This is such a challenge for us. Typically I try to trade in or donate a lot of their books during the summer and use that time of year to get them new books. Suggesting that they read while on road trips sometimes does the trick. Sometimes…. LOVE these ideas. I am trying to get my kids more into reading and we love visiting the library!